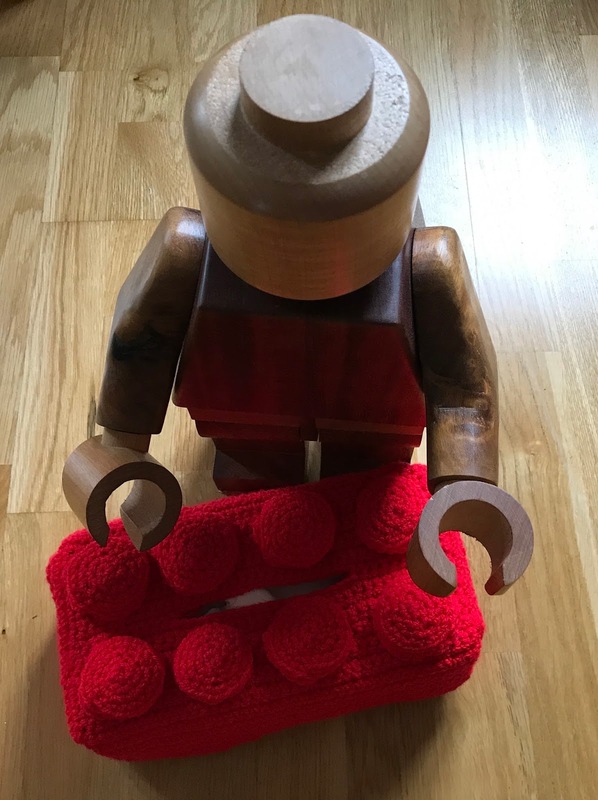 When I was visiting my son, daughter-in-law and only grandchild in Singapore a few months ago I noticed that they had a yellow crocheted tissue box holder in the shape of a lego brick. This of course is not surprising as my son is still very involved in lego and you can see his creations on this web site http://www.musicalbrick.com. We even gave him a Lego Volkswagen beetle to assemble for his birthday. I soon found the pattern for the lego brick tissue holder on the internet and set about making one yesterday, here is the result, fashioned by one of the wooden men that 'im in the garage makes. In between my many tatting projects I am hope to make some more of these bricks in other lego colours. How lovely, I think those would sell very quickly at your church fetes! Exactly what I was thinking Maureen! Hi Sally, Your Lego looks so realistic in that colour. Many years ago I used to really enjoy playing with our daughters' Lego! We've been fascinated watching Lego Masters on Channel 4 on Thursdays at 8.00, don't know whether you've seen it? The amount of Lego the competitors have at their disposal and the ingenious items they created is amazing. Looking forward to seeing your next model. Oh yes Anne we watched the programme, it was so fascinating and to see all that lego! Amazing.